Pirate, Tree and Bear are making it difficult to sleep. By day they are great friends, but when night comes, everything changes. No one can sleep. 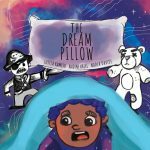 The Dream Pillow is a story about how to change bad dreams into good ones. 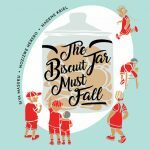 Created at Book Dash Cape Town on 14 April 2018 by Nadia Davids (writer), Lutfia Kamish (illustrator), Nadene Kriel (designer). Edited by Diane Awerbuck. On Saturday, 14th April, 40+ volunteer professionals gathered at the Sunflower Learning Centre at Zonnebloem Primary School to create eight beautiful, new African storybooks in just 12 hours, to address the lack of access to culturally relevant books for young children in Africa. 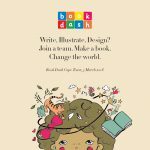 On the 19th of November, Book Dash alumni from across South Africa came to Cape Town. Their mission? Work together to create more, beautiful African storybooks in just 12 hours. 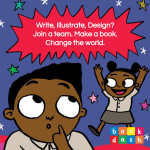 Created at Book Dash Cape Town on 19 November 2016 by Nozizwe Herero (writer), Nadene Kriel (designer) and Siya Masuku (illustrator). Edited by Glynis Lloyd. 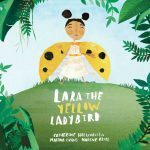 A yellow bug in a world of red, Lara the Ladybird just wants to fit in. Created at Book Dash Cape Town 5 March 2016 by Martha Evans (writer), Catherine Holtzhausen (illustrator) and Nadene Kriel (designer). Edited by Ester Levinrad. 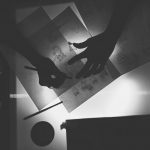 On Saturday 5 March, teams of professional writers, illustrators and designers gathered at Cape Town’s Centre for the Book to create beautiful children’s books in just twelve hours. 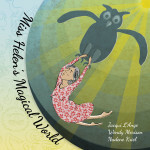 This is the story of Helen Martins’ battle against darkness, told by one of the creatures she loved best, the wise old owl. The story of Helen Martins, created at Book Dash Cape Town on 30 August 2014 by Jacqui L’Ange, Wendy Morison, and Nadene Kriel. 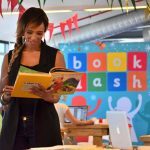 Our third Book Dash was Women’s Day themed, and organised in collaboration with Rock Girl and the African Storybook Project. Each team wrote a biography of an inspiring African woman.